As more dog owners choose to bring their dogs wherever they go – hiking, camping, hunting, other outdoor activities or simply long walks – the chances of losing the pet increase. This explains the huge market growth, popularity and subsequent improvements GPS collars and trackers for dogs. Even though many dogs are lost every year, most recent studies conducted by ASPCA found that a surprisingly low number of pets are reported as lost. The study also found that dogs with GPS chips and collars were much more likely to be located when lost. What Are Dog GPS Collars and Trackers? Neither one device type is better than the other; they are designed for separate purposes. There are also two ways how a pet GPS tracker may function: GSM-based (cellular) GPS trackers and Radio-based trackers. Both of these options are very popular, but they're normally used for different reasons. Cellular GPS trackers for dogs are often used with subscription-based technology, and radio GPS trackers for dogs are most common for independent GPS collars for dogs that function on their own. Cellular dog GPS trackers are the new technology that will usually work by communicating the receiver's (your dog's) location to your phone. They are most often used for “casual” tracking of dogs. These devices have many cute features (useful to some) but have a low range for tracking and are less reliable. They are cheaper to buy from the get go, but you'll have to pay a monthly subscription (from $39/mo to $150/mo). Radio dog GPS collars are a more serious tracking devices that have been originally designed for hunting with dogs or tracking wild animals. They have the highest range, some going for miles and miles like certain walkie-talkies, and are the most reliable way for tracking dogs. These GPS trackers do not require any subscriptions, but they are expensive to purchase (anywhere from $200 to upwards of $1,000 per device). All in all, cellular GPS dog trackers may be more applicable for dog owners in the city where there are no issues with cellular connections. If you're planning to go to a farm, to a forest, hiking, camping, hunting or whatnot, it's best to stick to radio GPS collars since they do not require any cellular connection. How Effective GPS Pet Trackers Really Are? The popularity growth of GPS trackers for dogs made professionals and scientists take a closer look at this technology, and study them extensively. Tons of research papers and studies (this, this, this, this and this) were performed on how these GPS trackers work with dogs as well as other animals and wildlife. In short, most good quality, rated best dog GPS collars and trackers are extremely effective. Further research (this, this, this, this and this) into animal GPS systems, including GPS pet collars, has shown immense promise for how effective these devices can be for both professionals and casual dog owners. Radio GPS collars for dogs in particular have gained a great reputation among hunters, scientists and animal behaviorists. Several well-known brands (e.g. Garmin, SportDOG, Marco Polo) who are also known for manufacturing best electronic training collars, have perfected the technology and signal accuracy. 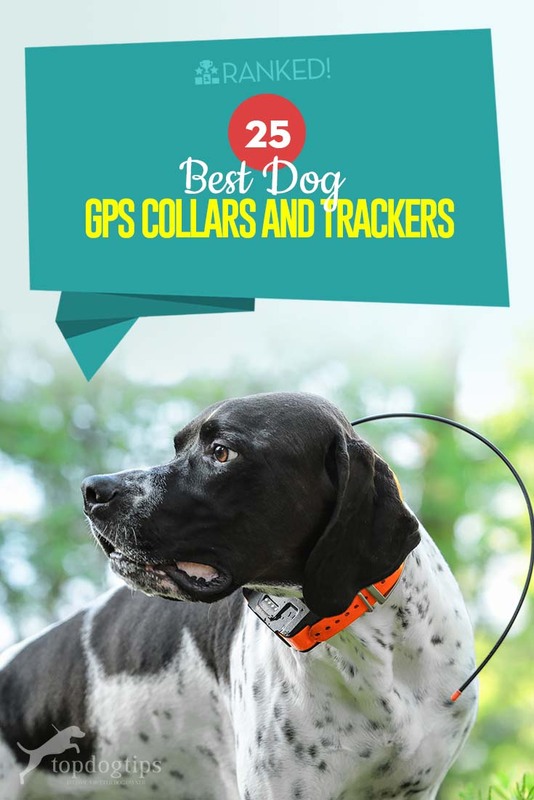 With that in mind, let's take a look at some cheap dog GPS collars and trackers, as well as the top of the line GPS collars for dogs that are most often used by avid hunters or professionals working with animals. The Findster Duo+ is something between the QR code tracker and the full-blown GPS tracker. There are no monthly fees with this tracker because it doesn’t depend on cell phone technology neither on WiFi, which is a huge bonus cost-wise, effectiveness-wise and convenience-wise. The one thing that you might find slightly confusing about with Findster product is that it claims to allow you to track up to three dogs and cats on a single tracker but that actually would be rather difficult with just one collar tag. We’re also a little turned off by the 0.5-mile tracking range in urban and dense areas where buildings will interfere with the signal. 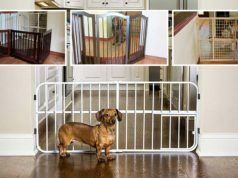 Putting that aside, however, this is a globally accessible device and it allows you to set up safe zones so that you get alerts when your dog leaves a designated area. Essentially, this is the best alternative for anyone wanting something like the more expensive GPS dog collars (like Garmin, below) but don't require them to be so powerful and wish to pay less. Tractive GPS used to take over this category, but the company has recently stopped participating in the field of pet tracking. Note that we don’t recommend this dog tracker if you have a very large property or if you’re looking for a device with a battery life longer than 3 days. These two are its major disadvantages. Overall, it is a good, lightweight and fairly affordable option for GPS-tracking dogs who don’t spend a long period of time outdoors on a daily basis, and for anybody not wanting to spend extra cash on monthly fees. This is one unique GPS dog tracker that's not comparable to any other on our list. Although the goTele GPS tracker isn’t a collar device for pets, this product can be used for pet tracking (and pet owners are the number one buyers of goTele) and it has a number of great features that you won’t find on other pet collar GPS devices. First of all, it's important to understand how it works: unlike other GPS dog collars and trackers, with this one each device communicates with the other. This can be both a good and bad thing. The downside is that it's self-contained and doesn't require monthly fees, no cell service or WiFi. The downside is that, for example, if you want to track two dogs, then you'll need three goTele devices – one for each dog and one for you (they all communicate between each other and deliver the signal to you). This can get very expensive very quickly. However, this also ensures a more self-contained, reliable and accurate tracking. It features a geo-fence ability, message ability, is waterproof, shockproof, and dustproof. To better understand how you'll use it, think of it working like walkie-talkies: it comes in a two-pack, you wear one and fix the other to your dog’s collar, harness, or backpack. You can also monitor the devices through the iOS and Android apps. Overall, it's an expensive GPS dogs tracker but we like this option for hikers and campers who often take their dog with them and find themselves “off the grid”, and who can, of course, afford it. The range is decent, not the best and not the worst, and the same can be said of battery life. Depending on your use, it'll last. From the same company who produced the Whistle GPS device, the Whistle 3 GPS tracker (formerly Tagg) is a tracking device plus smart collar that fits directly onto your dog’s existing collar. We don’t like that this can’t be fitted for dogs under 10lbs, but we do like that you don’t have to give up those decorative collars (yes, we believe in seasonal collars). The Whistle tracker can be used with an iPhone or Android device and will send you app-based text and e-mail alerts when your dogs and cats pass through their “safe zone”. Our favorite feature of the Tagg, though, is that the app that tracks the device is free to use and that Whistle offers discounts on additional unit purchases which is great for multi-dog households. Whistle collars are an affordable option, but they do come with a $9/month essential subscription. This award-winning dog technology will send all kinds of email and smartphone based alerts about your dog's activity and ventures. We recommend the Whistle Tagg tracker for any pet owner looking to spend a reasonable amount on a basic tracking device and for pet parents like us who love to customize and accessorize with collars, but who don't need anything too powerful. Whistle 3 also works like a fitness tracker, which is great for pet's activity tracking, and it allows owners to view their pet's daily exercise routines, how active their dogs were, be notified whenever the dog leaves the house and so forth, and it even has an interactive map. It's still not as accurate as real GPS tracking products, but it does a decent job. 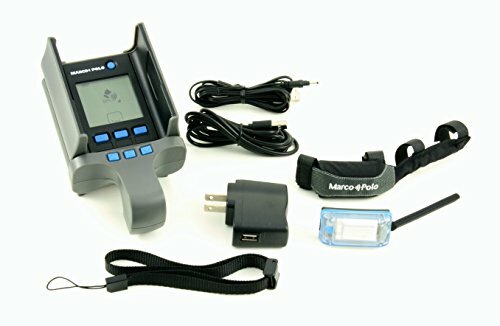 Marco Polo's GPS dog collar is a bridge between smartphone-based pet GPS tracking options and true, premium, high-quality professional pet GPS systems for dogs or other animals, like the one below. This device is more expensive than mobile ones, but it also comes with its own self-contained tracking technology rather than send updates to the phone. Depending on what you're looking for, this can be seen either as a pro or a con. On one hand, it's more accurate and works as a true GPS tracker. On the other hand, it's less convenient, makes you carry more stuff and doesn't have some of those cool iOS/Android app-based features while also not being the best GPS dog collar on here. It's not something for tracking your pup's activity levels either, but a decent option for location tracking. Marco Polo's GPS dog collar is designed to actually find pets rather than monitor their activity. It's simple to set up – you only need one push of a button to start looking for your dog – and will usually be reliable in terms of its data. What's even better is that you can simultaneously look for 3 or 4 pets at a time, and keep track of their locations all at once. 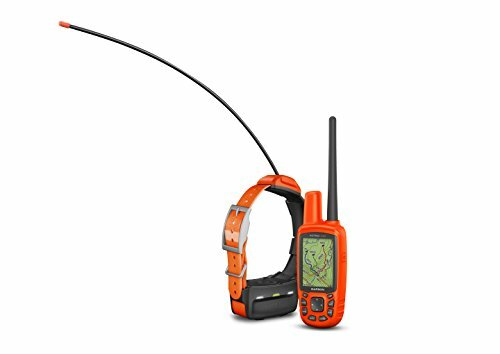 This is a self-contained device that does not require any external GPS support and will work anywhere, thus being a great companion device whenever you go into the woods or other areas where it's easy to lose your dogs. It also isn't dependent on any subscription services and will save you money in the long-run by a large margin. Finally, the number one rated best dog GPS collar is the professional equipment from Garmin – Alpha 100 TT tracking device for pets. Prepare to fall in love with this GPS dog collar, and the company itself, provided you can afford their equipment. This very expensive yet very powerful tracking device with long battery life that will usually be useful for pet owners of many dogs and cats who love to go out often, or for someone who's running a dog business with multiple canines on the facility. Alpha 100 TT is not subscription based; it's an independent dog technology with its own GPS tracker and will work perfectly no matter where you are. Garmin Alpha 100 TT is the best GPS dog collar by miles (literally, and figuratively). Out of all canine GPS collars, this one can track the most dogs, has the largest range, is the only one with GLONASS tracking system to accompany GPS, a long battery life, has dog training collar features, as well as tons of others. It's also made by the most popular, well-known and reliable GPS manufacturer on the planet, Garmin. When purchasing Garmin Alpha 100 TT on Amazon, you also get 1-year free BirdsEye subscription service. This is an amazing tracking service that are often used by hunters and other professionals and gives you a peace of mind. It's not essential for this GPS dog collar to work; it simply further enhances your experience outdoors. One of the coolest features is the vibration motor for silent alerts if you set it up to notify you whenever one or more dogs leave the safe zone. You also get a 2.6″ 65,000 color TFT display where you can track up to 20 dogs at once, and with a worldwide basemap with shaded relief you can do that anywhere, anytime with extreme ease. Alpha 100 TT dog GPS collar is by far the most expensive on the list, mostly due to its electronic dog training collar features. It's designed for any type of dog owners: those who love to spend time outdoors, traveling and otherwise find ways to hang out with dogs, and for those with working dogs (possibly more than one) or with dog businesses. If you can afford this investment, you will hardly be disappointed in the functionality and reliability of this GPS collar for dogs. This is something that hasn't been designed primarily for GPS tracking, yet it does have this feature (or a part of it, I should say). Dynotag has been around for a while and has garnered some mixed reviews, but most of them seem to be positive, especially from dog owners who purchase it from online retailers such as Amazon. Dynotag is far from being the best dog GPS collar, but it's definitely the cheapest and most user-friendly option you can get for monitoring your pet and occasionally being able to find out where he or she is located. This is how it works: After you activate the tag for your account/phone, it becomes uniquely yours. Then, when any electronics, whether a smartphone or computer, are viewing the tag, they will send a signal to Dynotag's cloud service and store the information about the location of your dog. Yes, you guessed it – it's not live, and it's not constant. You will only be able to find out where your pet is after someone scans their Dynotag. But for the price this dog product is going for, it's not a super bad choice. 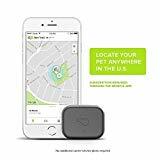 A subscription plan is required and is a lifetime subscription is included with the purchase of Dynotag GPS pet tracker on Amazon, which is not the case with most other cheaper GPS pet tags that are used on smartphones. This is a completely different way of tracking dogs to either GSM based pet trackers or GPS dog collars. The pro is that it's cheap and may be convenient to some pet owners. However, only a true GPS dog tracker will provide you with a foolproof GPS tracking service with utmost accuracy. All in all, it's a decent item, but if you really want to constantly track your dog's location, I would go lower down the list of best dog GPS collars and see what else is out there. We like the Dogtra line of Pathfinder GPS collars because they offer a range of nice bright colors rather than the drab black or dark green options that most other companies offer. They also have a system that can be expanded on which is great if you are a hunting group or if you just have a lot of dogs! The TRX GPS system can receive a signal for up to 9 miles and can be expanded to include 21 dogs and hunters! Another bonus to this collar is that it’s approved for use in UKC events. This GPS collar system comes with a one year warranty, is completely waterproof, allows you to set up a geo-fence, and the batteries charge within 3 ½ hours which isn’t too bad! While this is a costly collar, it’s a great investment if you are looking for dog hunting GPS collars. The DAGPS pet GPS tracker is a dog activity monitor with a GPS function built into it so if you’re looking for an affordable “do it all” option, this is a good pick. We like that the GPS on this collar works with Google Maps and is accurate within .003 miles and that it has a trajectory tracking feature. 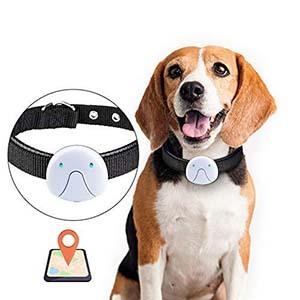 We also like that this collar allows you to set a “safe location” for your dog and when they step out of that area, you will receive a notification. Lastly – yes, we like a lot about this budget-friendly tracker – we love that it can be authorized on FIVE phone numbers so five people can receive alerts about your dog if needed. This GPS tracker doesn’t require a WiFi connection (it uses a GSM sim card) so we recommend it for use if you have a larger property, are on a budget, or if you have a pup who likes to push their limits every now and then! Garmin is the big name when it comes to getting a GPS tracker for your dog with all of the extras, but keep in mind that you are going to have to make a hefty investment for one of these systems. The reason these systems are so costly is that they are generally used for hunting and can be expanded to track up to twenty dogs with additional collars. 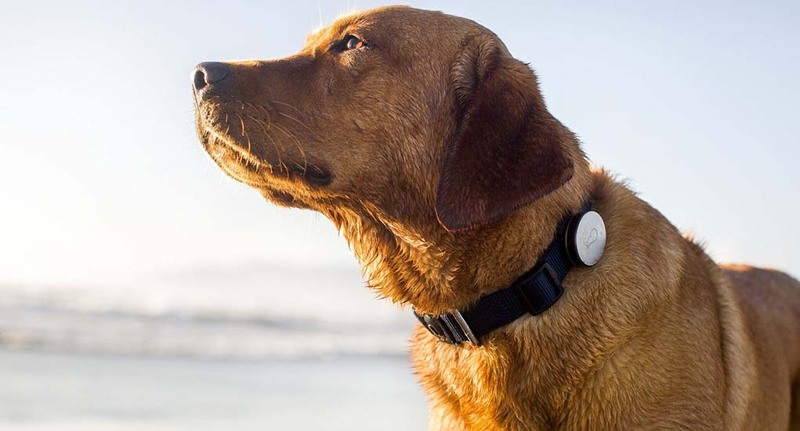 Each collar lasts up to 20 hours and the GPS tracks for up to 9 miles. The system does come with a one year satellite imagery subscription but after the first year, you will have to pay for the birdseye satellite imagery feature. If we’re being honest, we don’t advise this one for regular use, but if you do hunt with your dogs, the hunt metrics on this device are incredible and include distance traveled, time afield, and tracks their hunting patterns and behaviors. The PetDwelling Gemstone QR code pet ID tags aren’t like the other GPS tracking devices that we have listed so far, but we wanted to include them because they’re an affordable option that still allows GPS tracking. The set comes with five tags, each with a QR code. The tag fits easily to your dog’s collar and if your dog is lost and their QR code is scanned by their finder, the finder will get access to your pet’s contact information and you will be alerted to the GPS location of your dog via e-mail. The QR code tag isn’t as tech savvy as the other trackers on our list, but if you are on a shoestring budget, these tags are a great option for emergency tracking. We actually recommend these for every dog owner even if they have other tracking devices because they’re a great backup solution and useful tool for shelters and lost pet finders. The Tristar Hangang GPS tracker is an affordable digital tracker that offers all of the basic GPS functions. Where you save on cost for this collar, though, you will end up paying for a sim card and mobile plan to access the tracking function. That said, we do like the long standby time on this device and that it allows you to set up a geo-fence to warn you if your dog strays outside of their designated safe area. We recommend this collar if you’re looking for a lightweight waterproof tracker for a medium to large breed dog that doesn’t have too many extra functions. This is also another collar that isn’t suited for dogs under 9lbs so if you have a small pup, this isn’t the one for you. The Link AKC Smart Collar with GPS tracker and activity monitor is one of our favorite GPS trackers if you are looking for a tracker integrated into a collar. We’re not thrilled with the fact that you have to pay a subscription service plan fee to access tracking data, but this is par for the course with many of these trackers. What we do absolutely love about this tracker, though, is that it has just about every bell and whistle while still being affordable. You can record your dog’s activities, share walking data, remote turn on sound for training purposes, temperature safety alerts, a remote turn on LED light, and the app also allows you to store your dog’s vet records! We also have to mention how easy the Link AKC app interface is to read and navigate! We recommend this collar for dog owners everywhere who don’t mind paying a monthly subscription fee and who can afford to pay a little more upfront for the collar itself. When it comes to the budget range of GPS trackers, the Vanfine is one of our favorite picks. It’s under $50, the small tracking device slides on to any collar, it’s waterproof, and it has a long standby time. You should know, though, that this collar requires a nano-sim card so you will need to make that additional investment. That said, this tracker does work with GPS, cellular, and WiFi technology so you have a much lower chance of losing the ability to track your dog. Plus, for the price, this device also offers up daily activity data which is rare with such an affordable tracking option. One of the highest rated affordable GPS collars on our list, we recommend this tracker for any dog and any dog owner. The second generation of Gibi’s GPS tracker is conveniently small and it’s compatible with iOS, Android, and regular web devices. We love the long battery life on this tracker and that it allows you to set up safe zones, but one of our favorite features is that it is compatible with Google Maps so that you always have access to your dog’s immediate location through the Gibi app. On that note, though, we should let you know that you do have to subscribe to the Gibi monitoring service to use this device which will cost you $99 each year which is an added expense we don’t much like. With that said, we don’t mind paying it for the depth of urban and wooded area coverage. 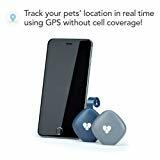 We recommend this GPS tracker for any pet parent and their dog, particularly those who live in more rural areas and who have had spotty reception with other tracking devices. Another Garmin tracking device, you already know that this collar tracking set is going to be costly, but it’s a good option to compare to the Garmin 430/T device we mentioned above. As with the 430/T, this GPS tracker is built for hunting dogs and can monitor up to 20 dogs at once if you purchase additional collars. The Astro 900 device has a 5-mile range and can be used both in Canada and the US with one of the fastest tracking monitor times of similar devices. We like that this tracker uses GLONASS satellite reception in addition to GPS for tracking and that it provides the same hunt metrics as the 430/T. In addition to the 430/T features, though, this device has a 2.6” color display which makes it easier to monitor tracking data. We love that this device comes with one year of free satellite tracking, but aren’t so happy about having to pay for a satellite subscription after the first year. We aren’t big hunters but we recommend this device for those of you who do hunt and who are willing to make an investment in a more technical tracking device. Another smart tag tracker, this is a very affordable GPS tracking solution that any pet parent can afford. 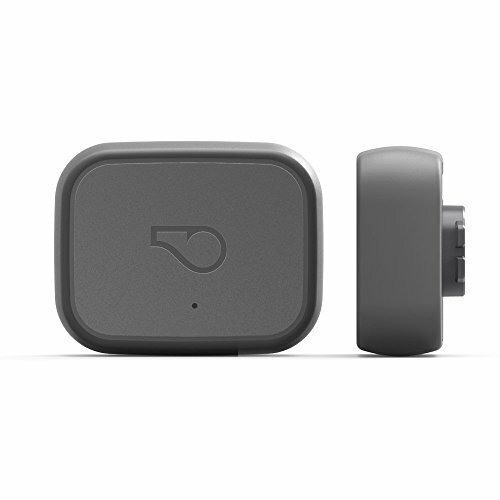 We love that you can also use this device for other items like keys since it’s a very small tracking tile. 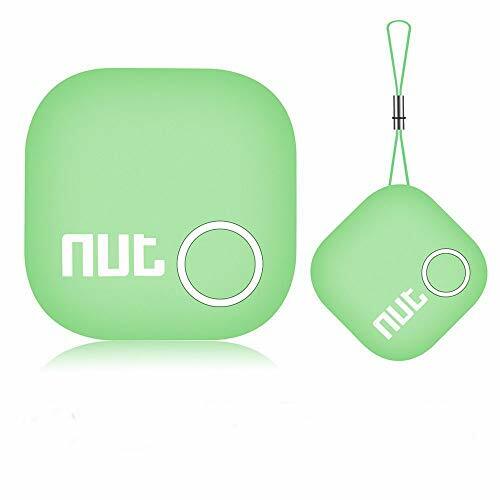 The Nut Smart Tag is designed to alert you when your pet (or your keys) are more than .018 miles away from you and the GPS tracker will record location information in the Nut Smart Tag app. Then, using the built-in app map, you can track your dog’s immediate location. The thing you need to remember about using these tile-like devices is that the range is generally much shorter than the larger and more expensive devices. We recommend this tracking device for pet parents who are looking for one of the most affordable tracking options, but if you are looking to track your dog over long distances, this isn’t right for you. The GPS pet tracker with LED light is an affordable GPS tracking device that uses GPS and WiFi positioning to monitor your dog’s location. Although the device is a small one that can slide onto your dog’s collar, it also comes with a collar that can be easily adjusted. We love that this collar has a notation on it that reads “If my collar lights are flashing, call my master:” and leaves room for you to write your phone number. In addition to the lost light flash function, this tracker is shockproof and waterproof, and it allows you to track playback. We also found it pretty impressive that a single charge can last for five days of use. We recommend this GPS pet tracker with LED light for pet parents who want a technologically advanced tracker but don’t want to spend a fortune on it. Although the Black+Decker Smart Dog Collar comes with mixed reviews from pet parents, we had to include it on our list because we really like this GPS collar and haven’t had problems with it ourselves. For under $100, this collar provides GPS and activity tracking data and it features 2-way audio so that you can easily call your pet in via their collar. As an added bonus, this collar is water resistant and has an OLED display that can be customized to display a personalized message or your dog’s name and your contact information. This collar also allows you to set geo-fence zones to keep your dog within safe areas. The one thing we really don’t care for with this collar option is that it’s only sized to fit dogs with a neck circumference of 15” to 21”. We recommend this GPS smart dog collar for pet parents of medium-sized dogs who are looking for an all-purpose GPS tracking collar. 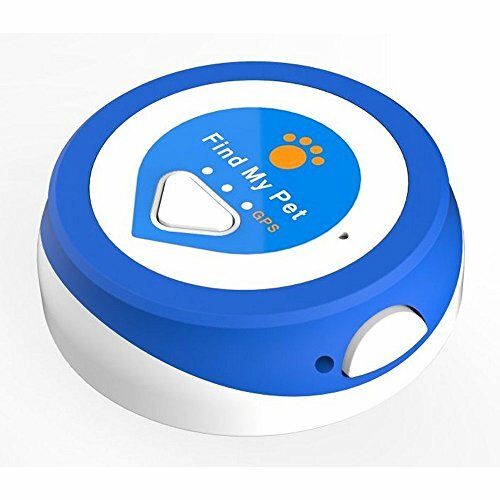 Find My Pet tracker is a small device that clips onto your dog’s existing collar and comes in under $60 which is a fair price for the number of features that it offers. 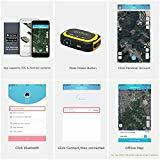 With this product, you can track your dog using Google maps and set safe zones so that the app will send you an alert any time that your dog steps out of one of those zones. 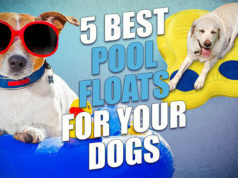 Plus, this waterproof device can be connected to multiple phone numbers so that you can request notification to multiple numbers should your dog step out of the safe zone. The one thing we’re not in love with with this tracker is that it only has a coverage area of around .003 miles which is much shorter than some of the other devices we have recommended. Unfortunately, there's a monthly subscription service fee with this one. You get 1 free month, but after that, because it's a GSM cellular device, you'll need to pay $4.99 per month for the service. Another smart tag tracker, this device comes from a trusted name in technology and it utilizes nationwide LTE-M networks for GPS tracking – that means FULL coverage anywhere there is cell coverage. This is a rather small device that can be affixed to just about anything including your dog’s collar, harness, or backpack and it’s incredibly durable (you can even use it on luggage when going on vacation!) We love that this device also comes with AT&T LTE-M network coverage for the first year and that even though you have to pay for coverage after the first year, it’s only $50 for the year. The battery life on this tracker is also a bonus since it lasts for up to 10 days and like most of the trackers on our list, it allows you to set up geo-safe zones so you receive a warning when your dog steps out of the safe zone. We like this device for tech-heads who are loyal to Samsung and who are looking for long-lasting battery life and water resistance from their tracker. The AnimalRescue.com Q-Tag QR code pet ID tag is another GPS enabled QR code tag that links directly to AnimalRescue.com. If your dog becomes lost and their tag is scanned with any QR code reader, the finder will receive digital identification information about your pet and you will receive a real-time alert with the location of where your dog’s tag was scanned. We like this QR code tag particularly because it is laser engraved, rustproof, and it comes with a lifetime warranty which you won’t find with the traditional GPS tracking collar devices. We recommend the AnimalRescue.com Q-Tag QR code pet ID tag for every pet parent, even if you already have a microchip and traditional GPS tracking collar. The Pet Tracker Petfinder GPS device made our list because it’s the perfect solution for dogs who love water! At the moment it is only available through third-party sellers, but as a completely waterproof locator collar, it’s worth the investment. We also love that this collar provides you with real-time tracking data and daily monitoring capabilities. Our favorite feature, however, is that you can call the collar and talk to your pet which means that you don’t have to rely on other stimuli to encourage your dog to return to you, you can just call them back through their collar! This collar is supported on iPhone and Android apps and uses a $5 monthly sim card for nationwide tracking with no other monthly fee. We recommend this collar for your water-loving pups who like to wander around your property. The Pawfit Ultra Lightweight IP65 tracker combines a range of features to create a GPS fitness tool for your pup that allows you to set up ten safety zones for your pet to move within. We particularly like that this device uses GPS, WiFi, and cellular technology so you run less risk of “dead zones”. It is important to know that the SIM card is not included with this tracker though so you will have to invest in one separately to use the cellular technology function. This device also provides activity data, distance moved, calories burned, and it stores that data for 7 days so you can go through weekly and record data if needed. An “extra” feature that comes with this GPS tracker that we really like is that it alerts you when the environment around your dog becomes abnormal so if your pup is in danger of overheating or chilling for any reason you will receive an instant alert. We recommend this device for anyone who wants to track everything there is to know about their dog on a daily basis! Yes, we know that this is designed for cats, but if you have a small dog, this tracker is quite ingenious. Rather than using GPS technology, the Girafus collar uses radio frequency so that you can track your small dog in areas where GPS won’t work. The range of the collar is as far as .31 miles too which is quite impressive and the battery life is as long as 30 days! Each tracker comes with a base unit, a tag, a charger, a Velcro strap, and a silicon sleeve and you can even purchase additional tags and monitor up to four dogs on one device. We recommend this tracker for you pet parents out there with tiny pups who have been excluded from so many of the other collars on this list because of their size! Another slightly different tracker option, our last tracker on the list uses Bluetooth to track your dog’s location rather than GPS. The DOTT is a small affordable device that fits right onto your dog’s collar and it comes with no activation or subscription fee. The idea of this tag is that it serves as a virtual leash if your dog steps out of their range zone. If they become lost, you can use the free Lost Pet Recovery service to send out lost pet broadcasts and with a battery life of 6-9 months, it is a great investment! 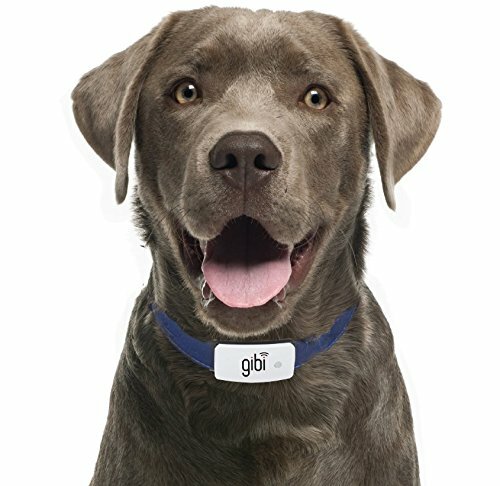 In addition to tracking, this tracker also sends out heat and flood alerts, tracks your dog’s walks and potty breaks, and it tracks your pet’s medication which is a feature we could REALLY have used for our old Labrador! We recommend this tracker for any pet parent out there, it’s affordable, efficient, and compatible with iOS and Android. Previous articleCan Bed Bugs Travel on Dogs?